Settings: Afinia .2mm normal defaults in 50 minutes. Technical notes: At .3mm fast, the letters in the second line did not come out very well. 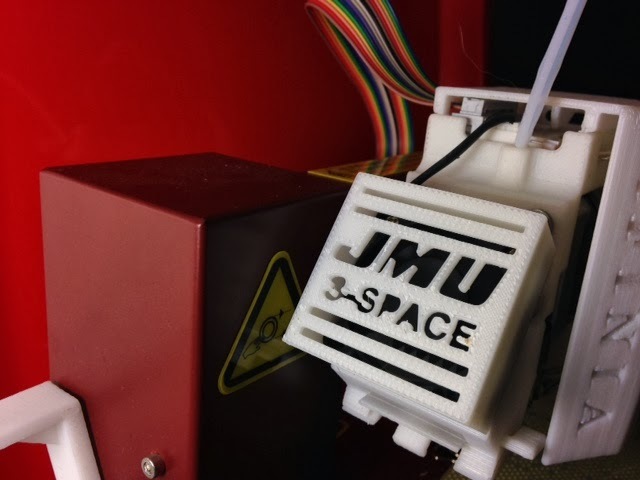 The JMU logo was based on the true JMU athletic logo font, and the letters were brought into Tinkercad to combine with the fan cover after using the method of Day 27 to get non-text paths for letters from Inkscape.